Piusi have added the K600 B/3 Fuel Pulse Meter to their extensive range, featuring a larger 80mm digital display screen for easier reading and viewing. 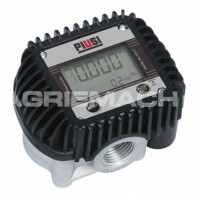 The Piusi K600B/3 diesel pulse meter and obtains the same functions as the flow meter, with the addition of sending the meter’s reading to a system elsewhere – such as a fuel management system or a computer equipped with the appropriate software. Thanks to its integrated visual display, the K600 B/3 is the first pulse meter from Piusi that doesn't require a remote display in order to view transactions at the dispensing point. 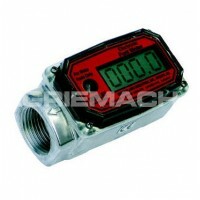 Another benefit of this fuel flow meter with pulse output is that it has a variable pulse ratio. Different fuel management systems have different pulse ratios, so now the K600 B/3’s pulse ratio can be adjusted, it is more flexible in terms of the fuel management systems it can be used with. 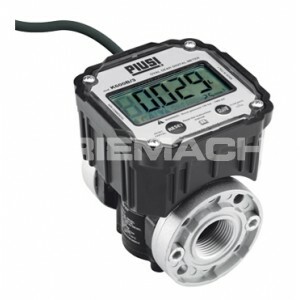 The fuel counter has a maximum flow rate of 100 lpm and the oval gear keeps accuracy at a high level and loss of pressure low. 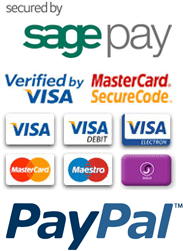 The K600B/3 diesel pulse meter is the perfect answer for industrial applications and private fuel distribution. 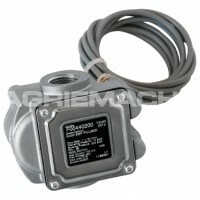 The K600 B/3 can also come as an oil pulse meter and has a maximum flow rate of 60 lpm.